The digitization of data has empowered both healthcare providers and patients to improve how, when and where healthcare is administered, giving patients greater control over their personal health and well-being. The key to success lies in the ability to get the right information to the right people at the right time. And a crucial enabler of improved communications is the ability to transfer data across like and disparate systems through mobile technology. 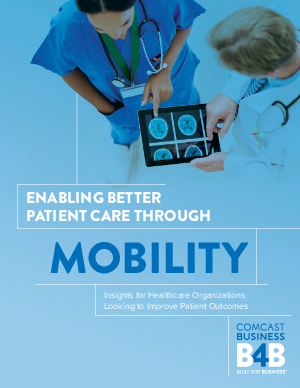 This was the topic at a recent focus group Comcast Business held at HIMSS14 that included healthcare IT professionals from six leading healthcare providers. The participants shared the following insights on how advancements in data mobility can engage the entire healthcare ecosystem and help improve patient outcomes. Download this white paper to learn more.